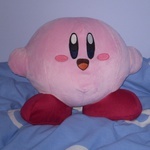 Here is some of my Kirby art. The mediums vary a little, but most of them were done on paper. 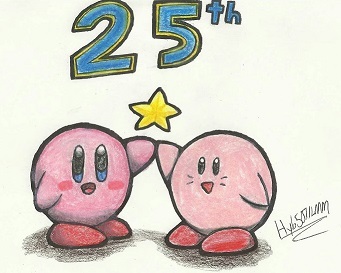 This one was made for Kirby's 25th Anniversary. 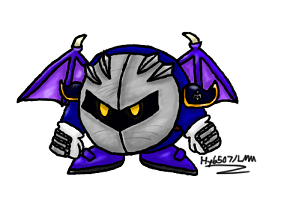 A picture of Meta Knight I drew via my drawing tablet a few years ago. Another Meta Knight I drew on my drawing tablet. 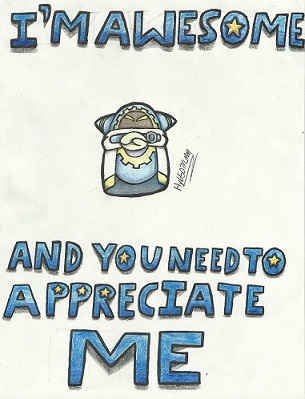 A picture of Magolor declaring that he is awesome and needs to be appreciated. 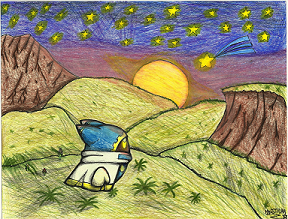 A picture of Magolor outside in the evening. Whoa, you're talented I want the "I'm awesome and you need to appreciate me" one on a t-shirt tbh. Thanks! And yeah, I kinda think it belongs on a shirt, too. I like that last one, with the evening starry landscape. Perhaps we could organize some art contests, and actually get more entrants this time. Meggolor, you are indeed a great drawer, both with physical paper and with graphics tablet. 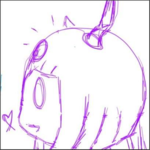 I drew a happy Taranza!